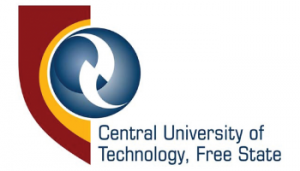 Central University of Technology (CUT) is an institution of Higher Education in the heartland of South Africa, dedicated to quality education and training in Science, Engineering and Technology. Central University of Technology (CUT) is an institution of Higher Education in the heartland of South Africa, dedicated to quality education and training in Science, Engineering and Technology. On 26 March 2004 the former Technikon Free State officially exchanged its “technikon” status for Central University of Technology, Free State. In addition to the formal academic programmes offered, CUT also offers extracurricular activities such as chess, choir, debate/public speaking, drama, dance club association, student newspaper, sport (beach volleyball, wall climbing, soccer and netball) - which can be a fun way to get involved, try new things and meet people.